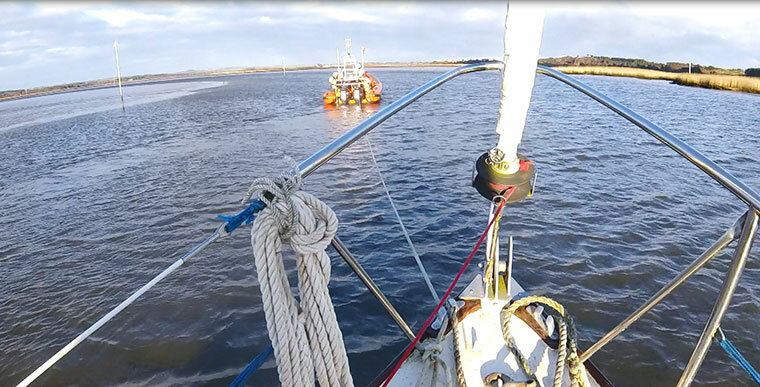 The first call out was at 3.15pm to a report of a 24-foot yacht with four people on board that had gone aground in the River Frome at the entrance of the Wareham Channel. 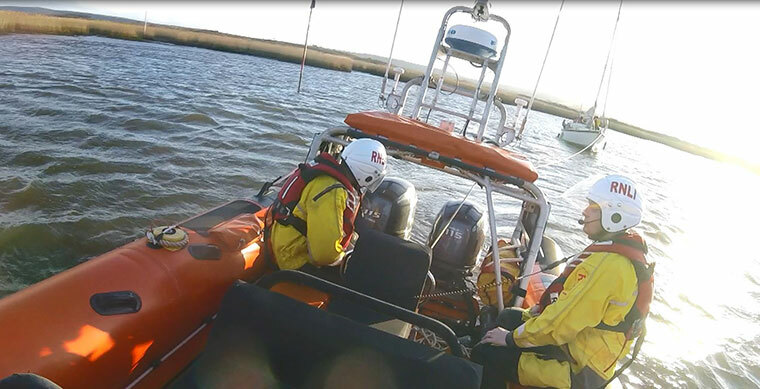 On arrival, the lifeboat crew found three people aboard the yacht and one aboard the tender. 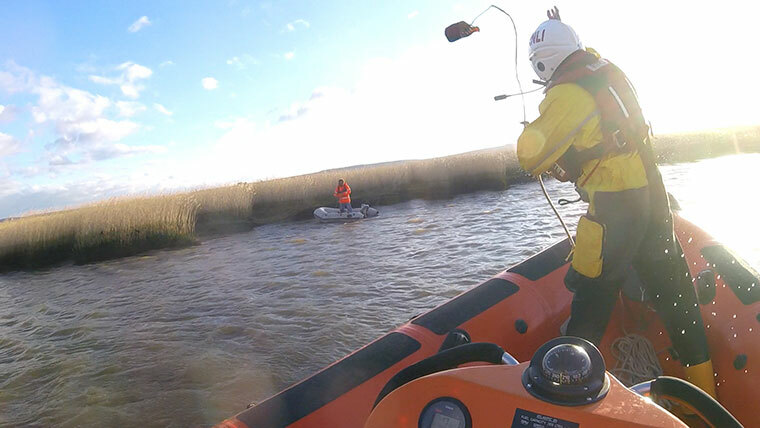 The stricken vessel was towed by the lifeboat into deeper water. 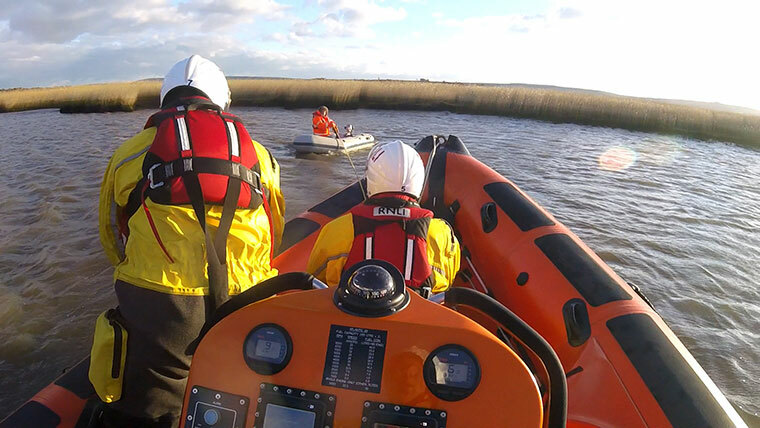 In the meantime, the person in the tender had broken down and had been pushed into the shallows and up against the reeds where they were safely transferred on to the lifeboat and the tender was taken under tow. 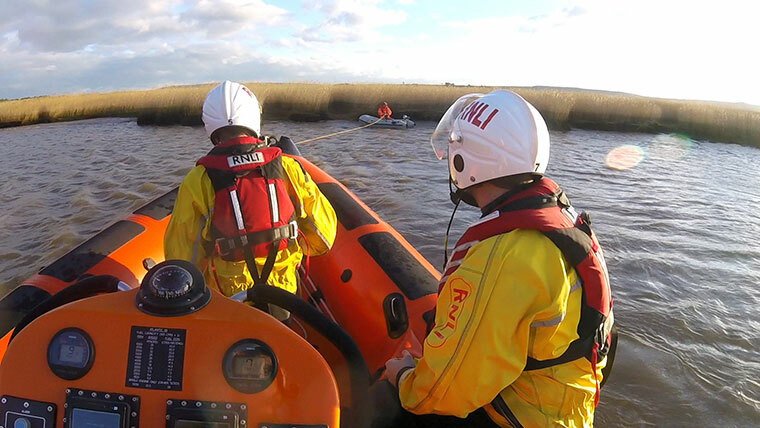 The lifeboat followed the yacht back up the river to its mooring at Ridge, before returning to the station. It was ready for service again by 5.45pm. The next call came through after dark at 7.20pm. 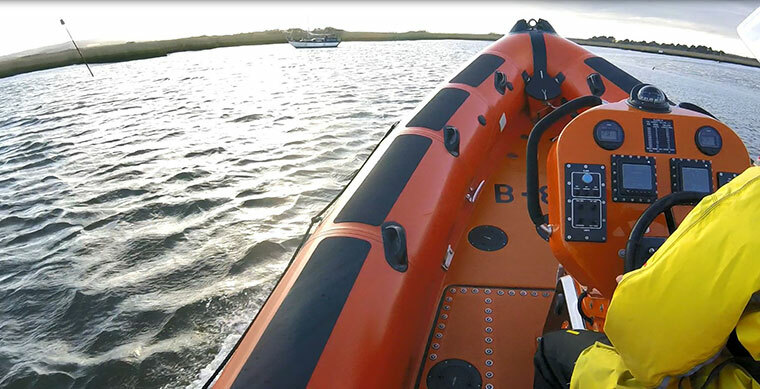 The D-class was requested to launch and assist a person in a dinghy that had broken down north of Brownsea Island. Lifeboat volunteers found the dinghy and its occupant between the Old Chain Ferry barge and Brownsea Lagoon, they attached a tow line and brought the dinghy back to Poole Quay and into Fishermen’s dock before heading back to the station, when another request to launch came through from the coastguard at 8.20pm. The Atlantic lifeboat was launched to a report of a distressed person on Bournemouth Pier. As the lifeboat crew got underway a radio message affirmed the person was safe, so the lifeboat was stood down and returned to the station. For two of the lifeboat crew, Alex and Max, it will be Sunday they will always remember as these were their first ‘official’ shouts.